Every enlightened person follows a journey to awakening in their own unique way. No path to enlightenment is the same. But even though everyone carves their own path, each of us arrives at the same destination. We all come to the same TRUTH. It’s because no matter what path you take in your spiritual journey, you are being guided by the same principles of awakening. You observe the same reality only from infinitely different angles. You see the same TRUTH but you translate it in your own way. And when these translations are shared you realize that even though we all walked a different path, we all observed the same essence. We all come to the same conclusions. 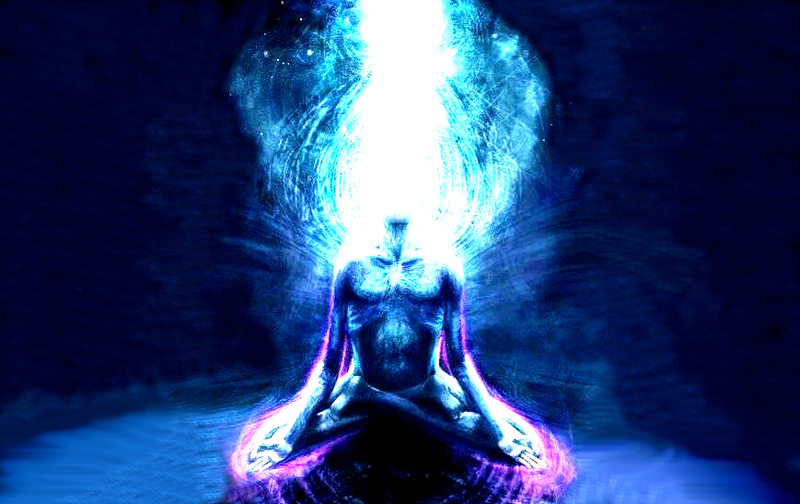 Here are the 10 ultimate truths all super enlightened people concluded! 1. There’s no destination, only the NOW. A spiritual journey is not a journey of place or time; rather, it’s the journey of the here and now. It doesn’t follow a space, time, past, future, regret, anticipation, or seek different states and experiences. It’s being alive right here and right now. Every sensation or answer emerges in the now. The present moment is where your true home exists. 2. You only suffer when you think and resist. Pain is not the real cause of your suffering. You only suffer when you think of your pain and resist it. Suffering feeds on your rumination of the past, of the sadness and sorrows, and of your resistance to life. Suffering will only cease to be when you come out of the past and the future, and meet the moment with it’s rawness showing up for the pleasant and the unpleasant. 3. Thoughts and sensations are not personal nor the truth. Like the sounds you hear, thoughts and physical sensations come and go. It’s something that can’t be deleted, controlled, or avoided. Most of our suffering comes from our thoughts and feelings. Anxiety and depression make our lives miserable and we feel powerless when it comes to facing them. But the truth is, even though your thoughts and feelings are real, they are not reality. They are real for you because you experience them, but they are not based on reality. Your mind sees illusions, an imaginary version, maybe even a piece of reality, but they are not reality. Meet thoughts and sensations with a gentle attitude because they are only guests in your presence. 4. You’re the space where thoughts are contained. Your thoughts are not you, they are not the truest translations of your reality. They are pieces of information clashed together. They are the suggestions, possibilities, judgment, voices, images, or any other thing that choose to rest in the space of your mind. You are the infinite space of your mind where those thoughts are contained. Never try to silence them no matter how active they may seem. If you’re mindful of your thoughts, you’re not trapped by them. 5. Honor the discomfort and pain within you. Breathe warmth and love to every uncomfortable sensation within you. Instead of getting rid of them, honor them. They are the neglected and tender areas in your body that require energy, warmth, and recognition. Understand that even discomfort holds intelligence that does not work against you. And that true joy can only be found by embracing both happiness and sadness. 6. Acceptance is not something you do, it’s being what you are. Don’t try to accept something just so it will go away once it is accepted. This is resistance in disguise. Rather acknowledge that by accepting something you are being real and who you are at the moment. When something is accepted, it’s already a part of the scene. This lifts off the pressure of time in making it go away. Allow boredom, disappointment, or other things to come up and be acknowledged as part of your reality. Remember, they are not your permanent state. You are always in a state of becoming. 7. ‘Always’ and ‘never’ don’t exist. There’s no always and never in reality. Both words only create a sense of urgency and powerlessness, feeding the story of lack and seeking. There’s only NOW, your place of power. Just be here. 8. You can only get THERE by being HERE. You often forget the journey when you focus on the goal or destination. ‘Not being there yet’ creates stress and disconnection from THERE’s essence. Take the focus off the steps that are to come or have not been taken yet. Focus on the present because it’s your ancient living ground where you actually make the steps. Breathe and feel the life in your body. It’s okay if you don’t know where your headed. Once you befriend uncertainty, you will slowly see the potential it brings. When you feel lost it calls for a celebration. It means you have just woken up. For the longest time the great intelligence in you is alive and you find freedom from all the outside conditioning. You have no image to live up to when you’re fully present. And you could never be wrong because there’s no image of being right. You can choose to become whoever you want and whoever you feel you can truly be. 10. You can’t compare your life and journey with others. You’re not separate from others nor others are separate from you. We’re all waves in the ocean of consciousness. We only differ in our unique expressions, gifts, talents, and truths. Don’t compare the moment with what could or might have been. Don’t compare with other people. Someone’s middle can be another person’s beginning. We all observe The Universe from different point in place and different point in time so we all observe a slightly different angle of reality. Since we are all really similar, you will be amazed how much of the struggles you think are unique only for you are experienced by most of the world. In fact, the more you think it’s personal, the more universal it is. But we all aim at different targets and we all learn different lessons for different purposes. Do not compare with others, accept your own journey and do not care about theirs. When you say yes to where you are right now, even if it’s not where you want to be ‘by now’, you’re allowing healing to take place.